The Fourth of July is right around the corner. A time to gather all your family and friends and celebrate America’s Independence. 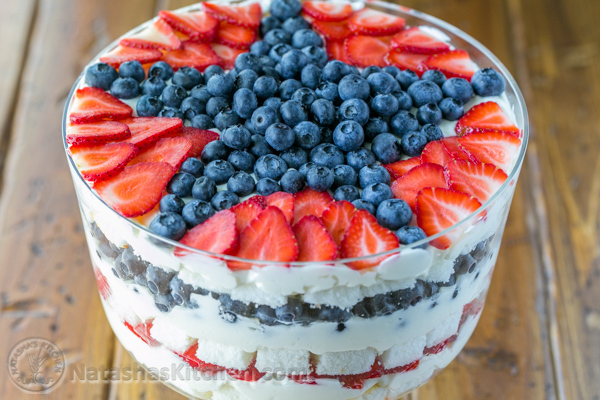 This red, white and blue dessert is a perfect addition to your party treats for the day. This delicious dessert includes 1 pound of blueberries and strawberries. You can find this No-Bake Strawberry Blueberry Trifle on the blog of Natasha’s Kitchen. Enjoy and Happy 4th of July!